This entry was posted on January 24, 2018 by wowvow. For wedding invitations it’s all about those finishing touches and for 2018 the focus is on making the envelopes as gorgeous as the invitation itself…..after all it is the first impression your guests will have of your big day! 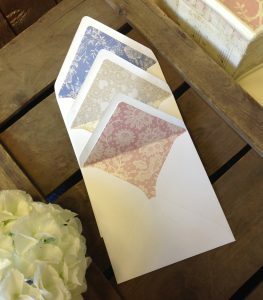 Beautiful envelope liners made from coordinating papers give your wedding invitations the 'wow' factor. 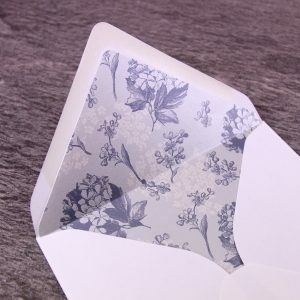 A beautiful pearlescent envelope liner with our 'Hortensia' pattern. Using coordinating envelope liners and belly bands carry the design right through. 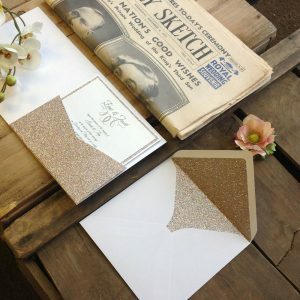 So why not make a statement from the beginning with a beautiful patterned or glitter paper envelope liner, a simple way to add real wow factor as your guests open up their invite. 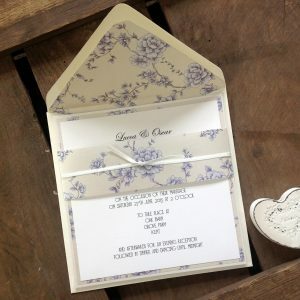 Not only do envelope liners pull the whole wedding stationery suite together but they also 'feel' luxurious as your guests open their wedding invitation and there's the added bonus of extra protection for the precious wedding invitation within. 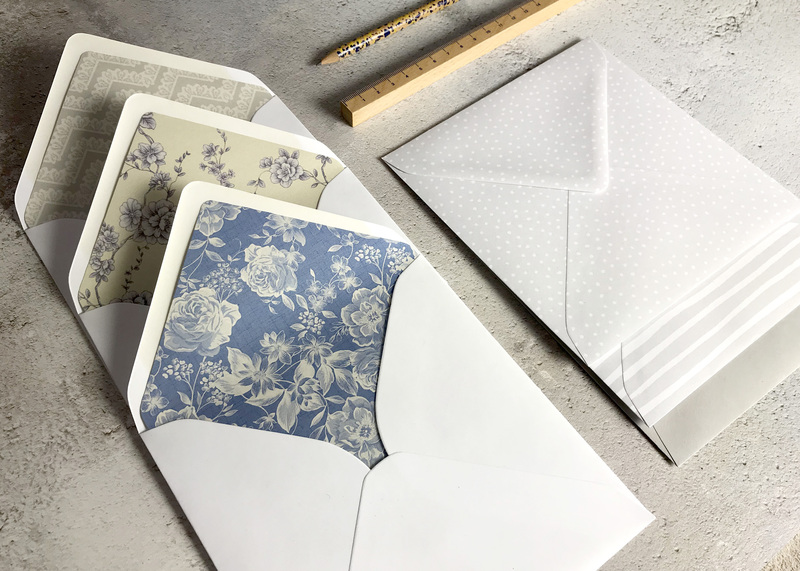 We have a gorgeous range of envelope liners to suit a variety of styles and themes and you can match it to the papers used in your wedding stationery to create a perfectly coordinated collection. Our envelope liners are already cut for you to pop in our large square envelopes - no scissors or templates needed! As metallics are still on trend this wedding season, we predict that metallic glitter liners will be a firm favourite with many Brides in 2018. 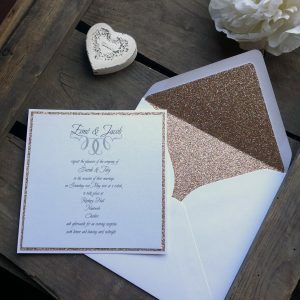 Beautiful coordinating glitter envelope liners. 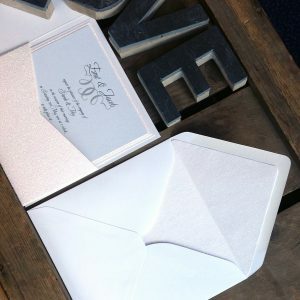 Coordinating white glitter paper envelope liner. On opening your wedding invitation there's a feast of sparkle.